Facebook’s core values include a powerful, results-orientated, anti-theoretical philosophy called the “Hacker Way”, according to founder Mark Zuckerberg. The remarkable “letter” from Zuckerberg appears in Facebook’s S-1 form announcing its intention to go public , which the US Securities and Exchange Commission (SEC) released on Wednesday. No starting price has yet been named, but Facebook said in the filing it expects to raise $5bn in the initial public offering (IPO). The transaction may leave the company valued between between $75bn and $100bn. 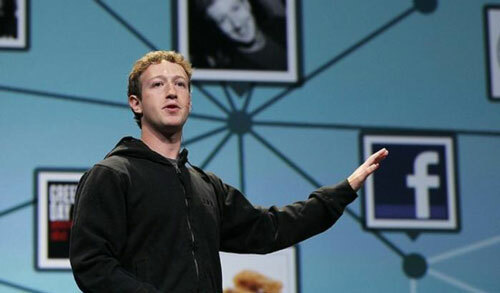 The Hacker Way, Zuckerberg writes, is embedded deeply into the company’s culture. It prioritises code-based solutions over theoretical arguments, practicality over perfection, risk-taking, and iteration (creating things quickly, testing, then refining). It’s a remarkable codification of principles that many programmers and Silicon Valley entrepreneurs have understood for a long time. The 37signals founders Jason Fried and David Heinemeyer Hansen elaborated a similar philosophy in their book Rework, and Eric Ries touts an entrepreneurial version of the code in his book and blog, The Lean Startup. Reading a business book is one thing; seeing the principle outlined in the SEC documents filed by a company planning to go public is another. It’s a sign of how deeply the hacker ethos has transformed the way the tech industry works. Done is better than perfect. Code wins arguments. Move fast and break things. The riskiest thing is to take no risks. Leaving nothing to chance, the company also ensures that all employees are steeped in this worldview by putting them through a Facebook “Bootcamp”. Another prominent part of the company’s culture: frequent hackathons, all-out coding marathons that produce code everyone gets to see and comment on. Some of Facebook’s most popular features emerged from hackathons, including the new Timeline, chat, video, the company’s mobile development framework, and even some infrastructure elements.